I want to thank Steve for his support and technical prowess. Without it, my website would have self-destructed long ago! In addition, I extend my gratitude to all those who contributed to my tarot understanding over the years, in particular Eileen Connolly, Mary Greer, Shoshanna Hathaway and Rachel Pollack. I also wish to thank "Jill" and the others who have allowed me to dip into their lives through the cards. Your tales have enriched my course and my life. And a special thanks to all of you who have written me via email to share your enthusiasm for the tarot as well as your knowledge, experiences and questions. I learned from each of you, and your words of encouragement have made all the difference. 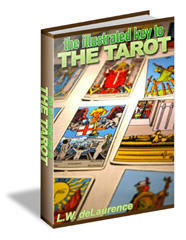 Thanks to Gina M. Pace and both Diane Wilkes and Michele Jackson who have created excellent tarot resources on the web. Their insightful reviews of tarot decks add much-needed depth to my tarot deck section. I am also grateful to Cookware, Inc. who provides the on-line home for Learning the Tarot. 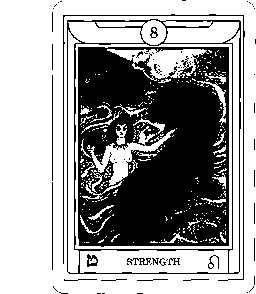 The Rider-Waite tarot card images (.gif files) were scanned by Paul Caskey from the Rider-Waite deck in both big and small versions. He has graciously allowed me to use them on my website. Thanks, Paul. Please note that these images are reproduced in this astral projection and the esoteric sciences.